Fall is approaching fast, are you ready? I know we are. It’s been a long summer with the worst fire season we’ve seen in Montana in a very long time. Over 1 million acres have burned over the past few months. But now we’re starting to get some rain and snow in some areas. So the end of the season is in sight. What a relief. 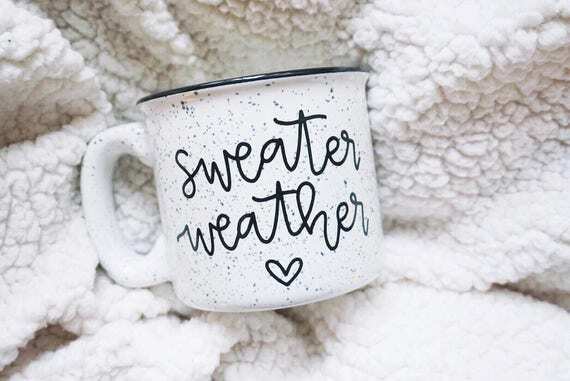 Sweater weather mug – have you seen the SNL skit about sweater weather? Hilarious. This mug reminds me of that clip. You’ll never say sweater weather the same promise. 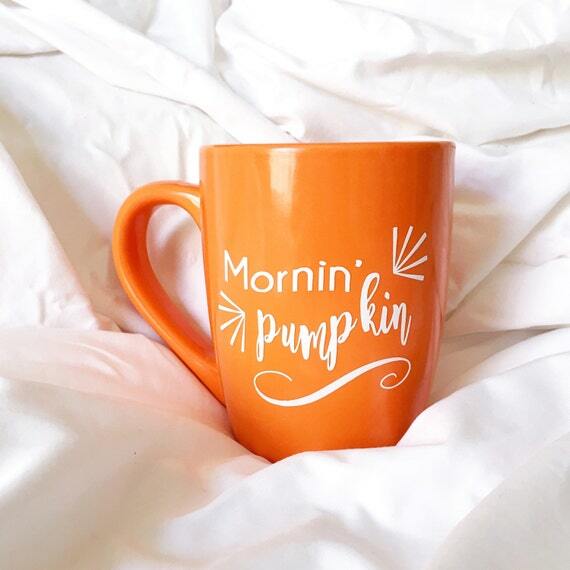 Morning pumpkin mug – this would make a really cute gift. Load with a pumpkin latte and surprise your significant other on a special morning or just because. 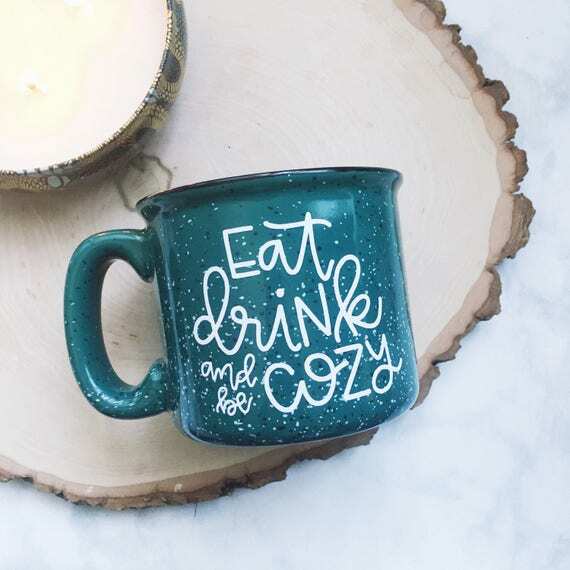 Eat, drink & be cozy mug – everything we love about fall. 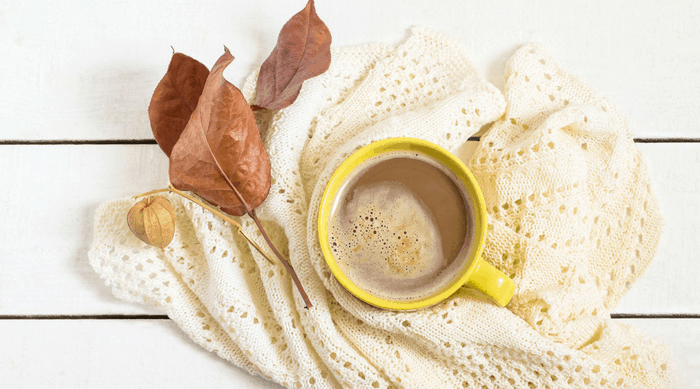 Pumpkin spice everything, delicious fall soups and stews & being cozy and comfortable. Not to mention this mug is in a great color. Love it. 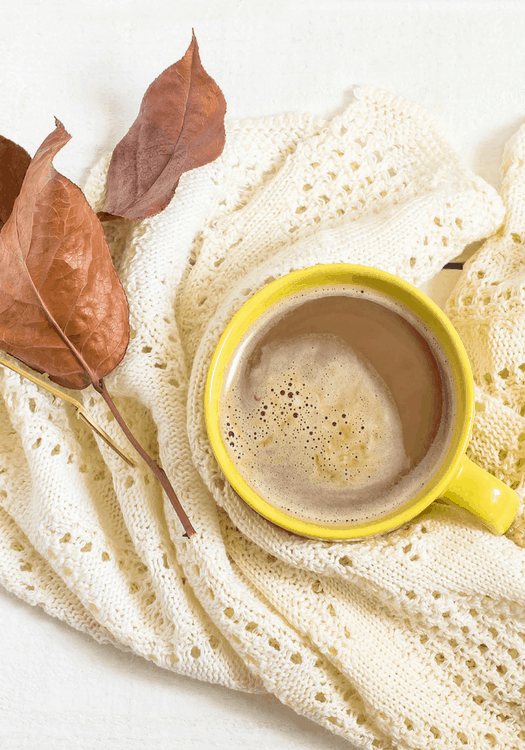 Hello fall mug – a simple but fun mug to celebrate fall. This would be a great add to a fall gift basket with coffee grounds and fall goodies. You could add candles with fall aromas, pumpkin cookies with brown sugar frosting, lip balm, pumpkin spice bath bombs. 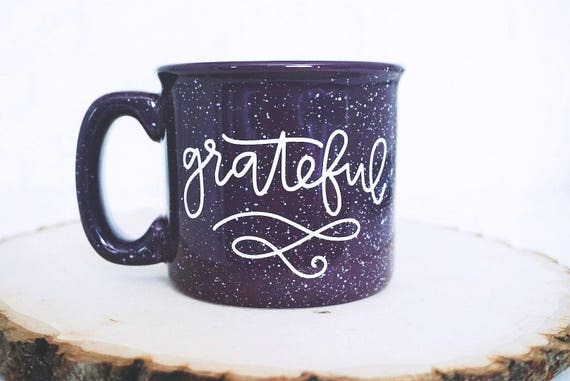 Grateful mug – I don’t know about you, but our summers are so busy and fly by. Fall is a time to slow down, get back into routine and reflect on how blessed we are. It’s a great time to remind ourselves to be thankful & grateful. 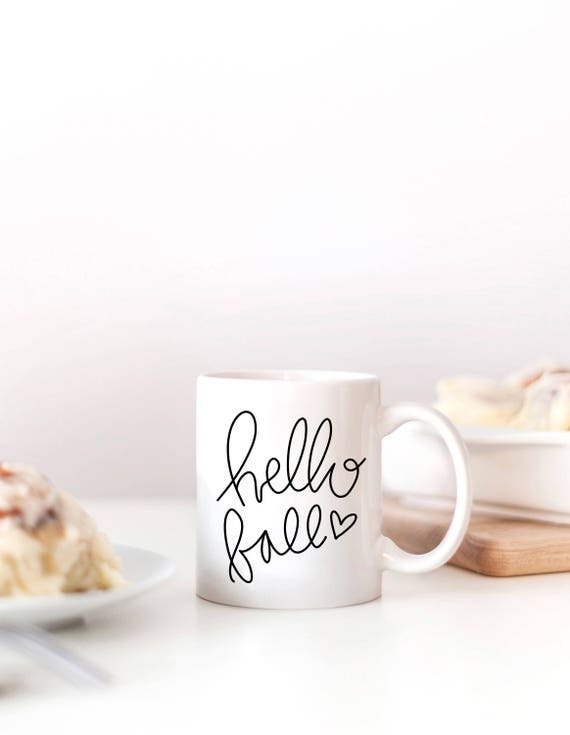 Eat, drink & be coy mug – everything we love about fall. Pumpkin spice everything, delicious fall soups and stews & being cozy and comfortable. Not to mention this mug is in a great color. Love it.